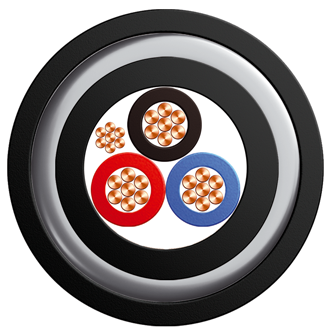 Teck 90 Armoured Power & Control Cable 600V CSA FT4 HL | Belcom Cables Ltd.
Teck 90 cables are used in the pulp and paper, mining, petroleum, and chemical industries, as well as, in commercial and industrial building applications. Conductor: Bare 7 stranded annealed copper Class B in acc. with ASTM B8. Outer Jacket: PVC as per CSA Standard C22.2 No. 131-M89, 90 ̊C to -40 ̊C temperature rating, low acid gas emitting (LAG) with excellent corrosion and sunlight resistance.